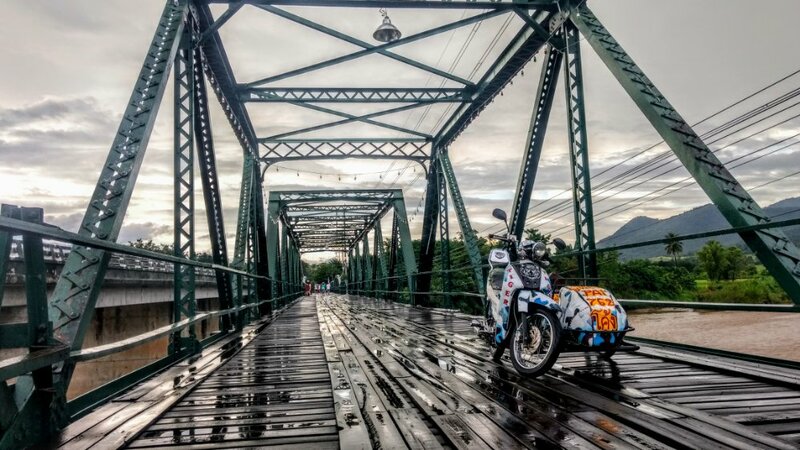 Our original plan for the Thai north was to just stop at Chiang Mai and Chiang Rai. 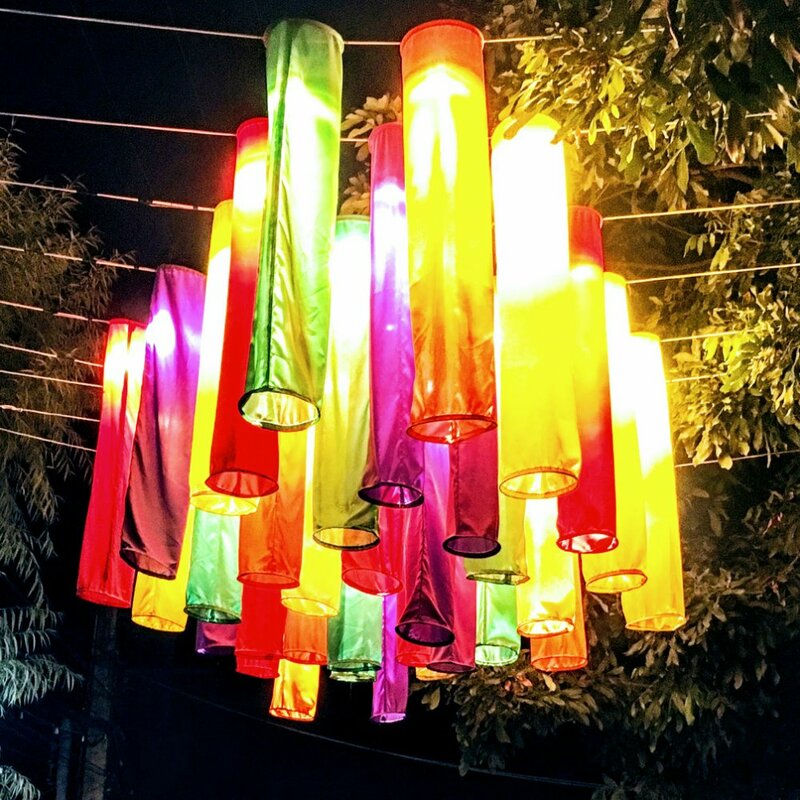 These had always been on our list of must visits since dreaming about getting away to Thailand many years ago. 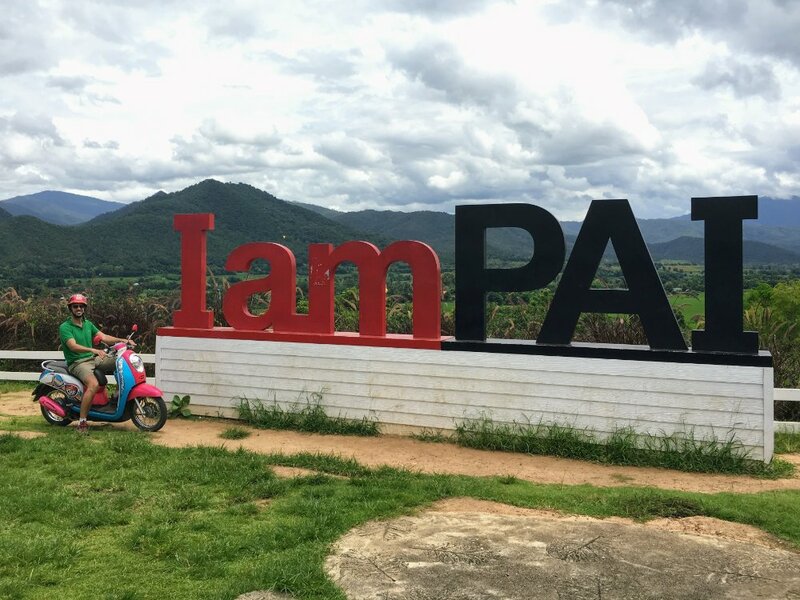 However, when we got talking to other travelers a place called Pai kept getting mentioned. Some people loved it due to its hippie vibe and natural beauty; others hated it due to the fact “it wasn’t real Thailand” and was full of hippie wannabe Westerners (although most used another word beginning with W to describe them). 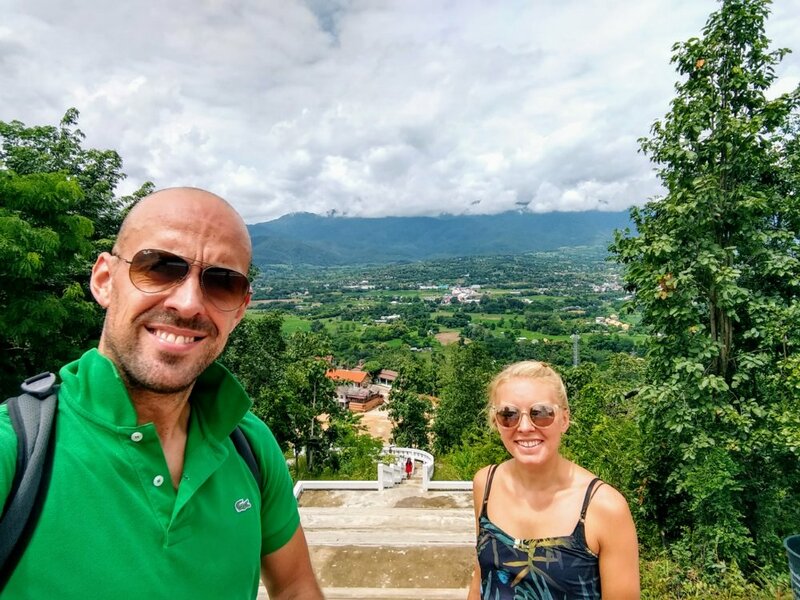 As it was easy to get to from Chiang Mai we thought we should go and check it out ourselves. 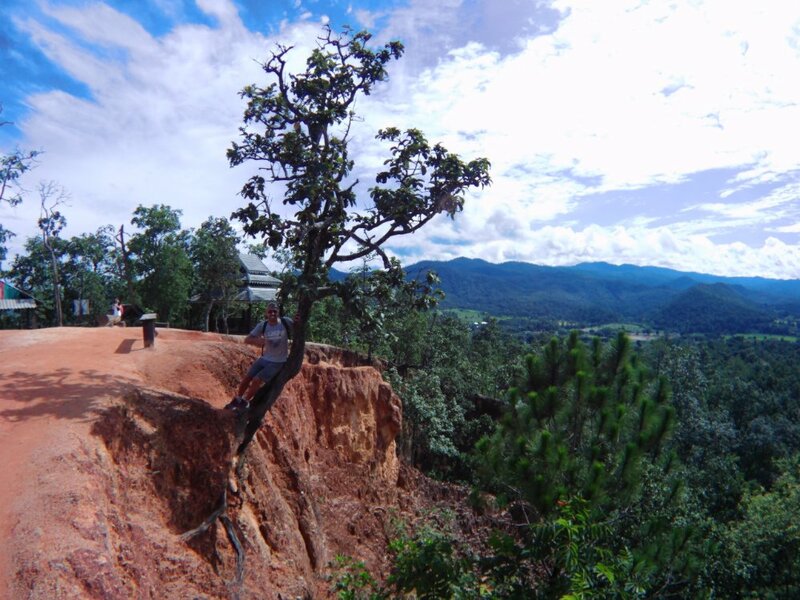 The route from Chiang Mai to Pai is famous for its “vomit inducing crazy bus journey” with 762 turns and twists on the mountain road and deadly overtaking. We were prepared for a rough ride, but ended up a little disappointed. The ride was actually pretty tame. The 762 “harrowing” turns were more gentle than we anticipated. The Thai minivan drivers are obviously much better trained with regard to passenger safety than the ones in Vietnam where every bus journey requires a few changes of underwear. 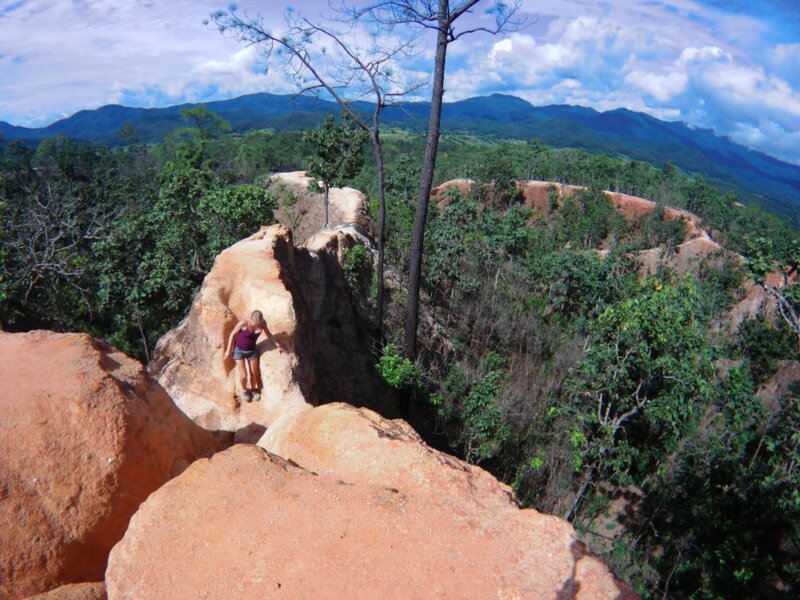 Once in Pai we hunted down the accommodation we had booked. It was quite a novel place we had found. We would be camping. Although indoors. 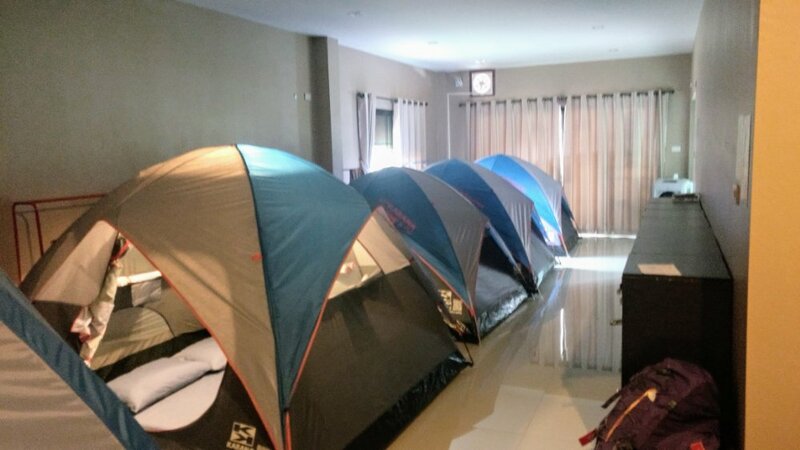 Yes, this have-a-go hostelier had put up a load of tents in his spare rooms and now rents them out. Great idea, dorm like living with more privacy…and incredibly cheap. Our first day we spent wandering around the small town. 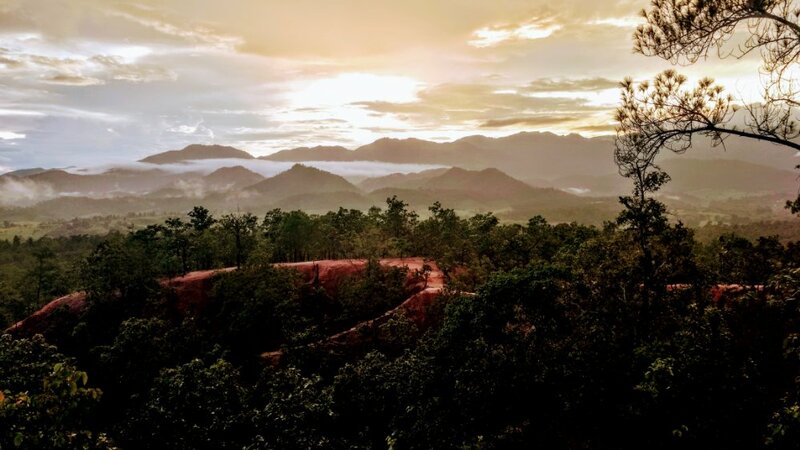 In the day time Pai itself is a pretty dull town. The streets are empty and the place lacks soul…where are all the hippies?! However, as the evening approaches the vibe picks up as a large might market starts to dominate the streets. And this market rocks…and rocks in a 60s kind of way as this is when the hippies really come out in force. The market is very much geared to the western traveler hippies…vegan and health stalls galore. And they are awesome. The smells you get as you walk from stall to stall as you try to decide what to get is phenomenal and it all looks delicious. The vegan lasagna was a big crowd pleaser but our favourite were the chicken kebab pitas. And don’t worry, as well as the food stalls the other hippie industries are strongly represented here: hair braiding, dreadlock making, tie dye t-shirts and the colourful bags that all hippies walk around with. 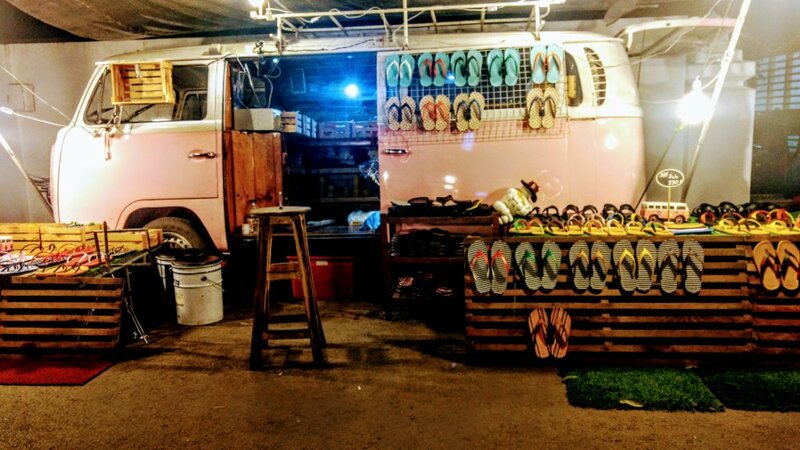 Pai night market is your one stop shop to hippie living. Yeah man, groovy! Huge Buddha at the top of a huge staircase. 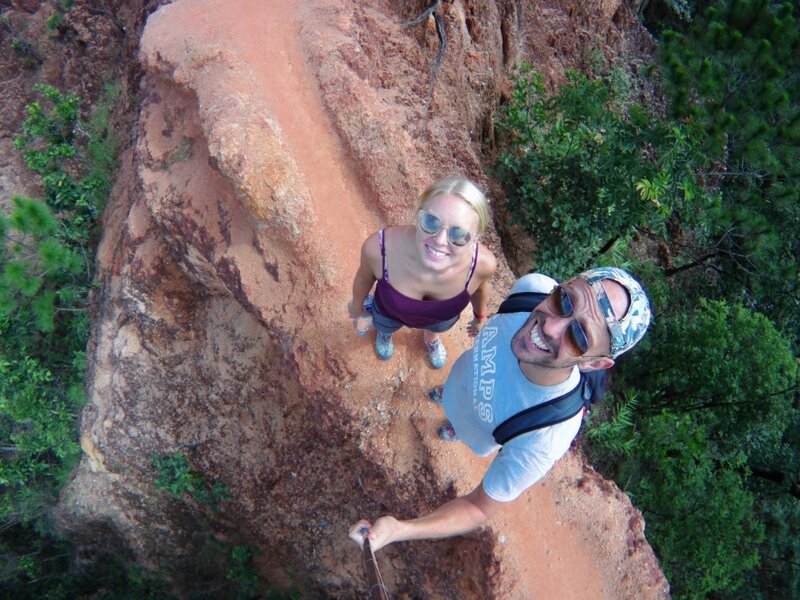 Whilst the big Buddha is pretty cool, it’s the view from the top that makes the climb worth it. 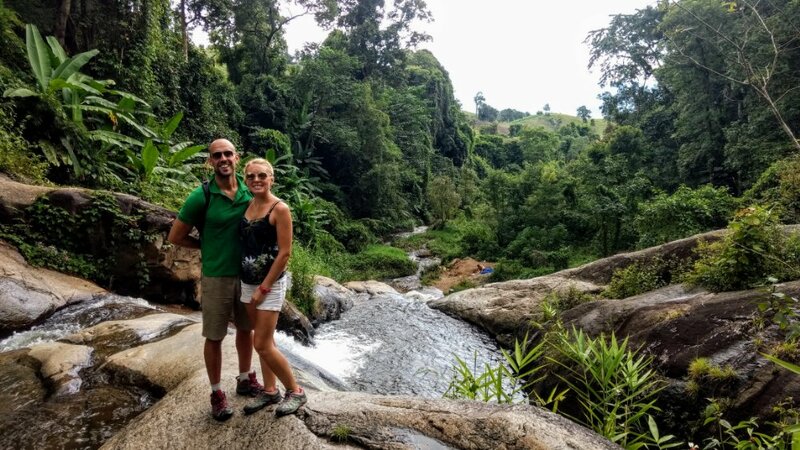 There are loads of waterfalls you can visit around Pai. 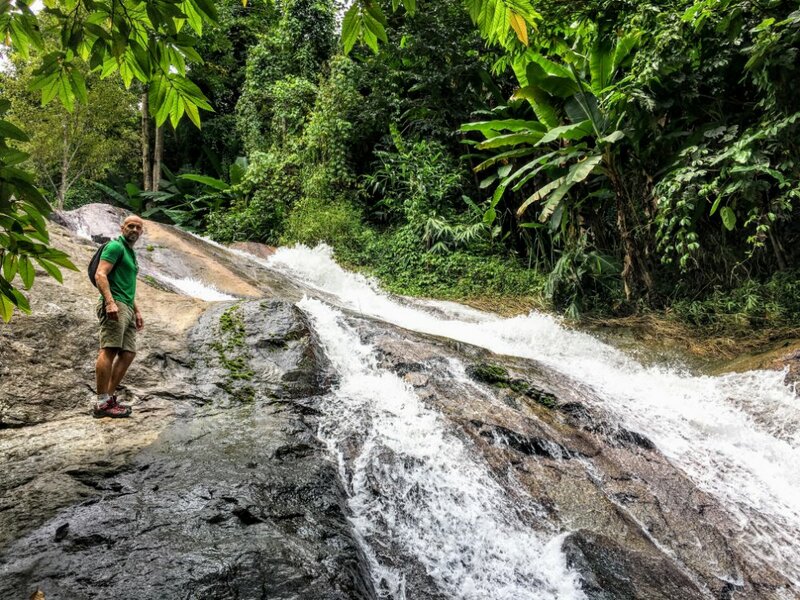 Mo Paeng was the favourite of the two we visited as you could head to the bottom and then climb all the way to the top – nothing like conquering a good waterfall. A little gem which shouldn’t be missed. The farmer who owns it has managed to turn his old farm into a tourist attraction after the land litterally split. You can walk through the split which has a very erie feeling to it. The farmer and his family also provide you with a lunch made from fruit and vegetables grown on their land. They were such a lovely family and very generous. When we had finished the tasty lunch we made a donation and…erm…split. This is a cool sight with an interesting history. During WWII the Japanese forced locals to build a wooden bridge here so that they could get to and attack Burma. When the Japanese left after the war they burnt the bridge to the annoyance of the locals who had got accustomed to the convenience of crossing the river without getting their feet wet. 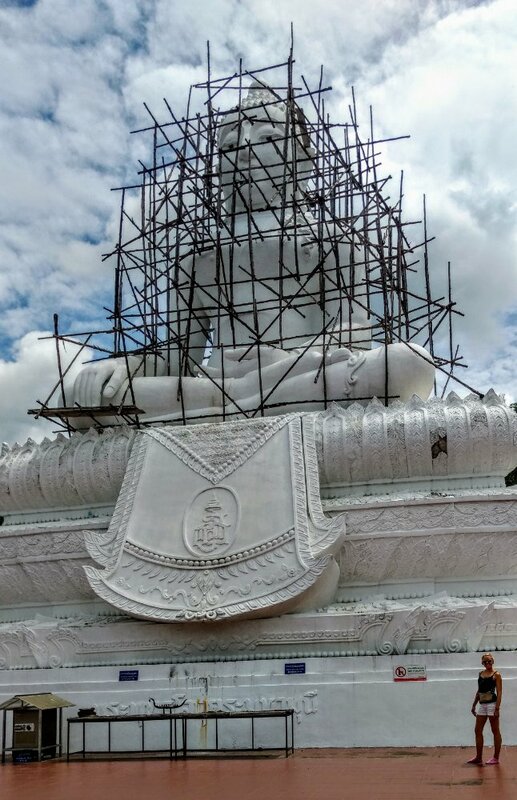 So the locals then set to work again and rebuilt it. But then in 1973 a large flood demolished their replacement wooden bridge. 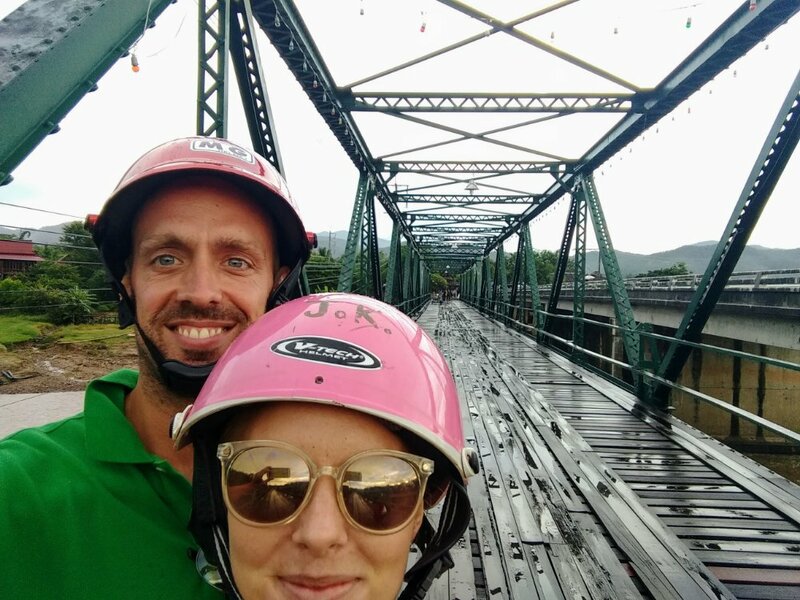 At this point the locals must have been fed up with building wooden bridges because they then asked for the “Nawarat Steel Bridge” from Chiang Mai. Quite why they thought they could simply take this I’m clueless about, however, the request must have been so cheeky that it was in fact masterful. They got their steel bridge. It was delivered to them in pieces so yet again the locals had to build it. Over 20 years later it is still standing and is beautiful. 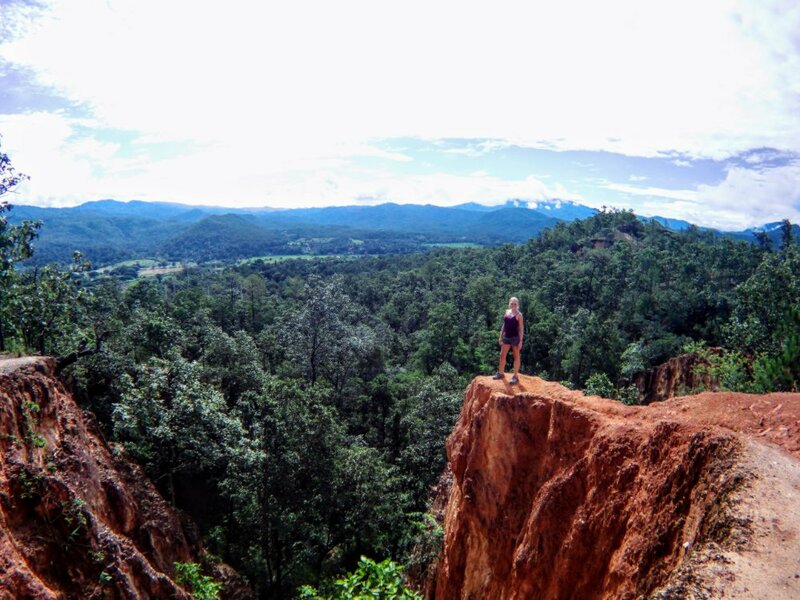 Pai canyon is freaking spectacular. So cool that we visited it twice. Once for sunset and once the day after to mess about a bit more. This is the Grand Canyon’s baby sister. Smaller but still impressive and a whole lot less health and safety – sweet! 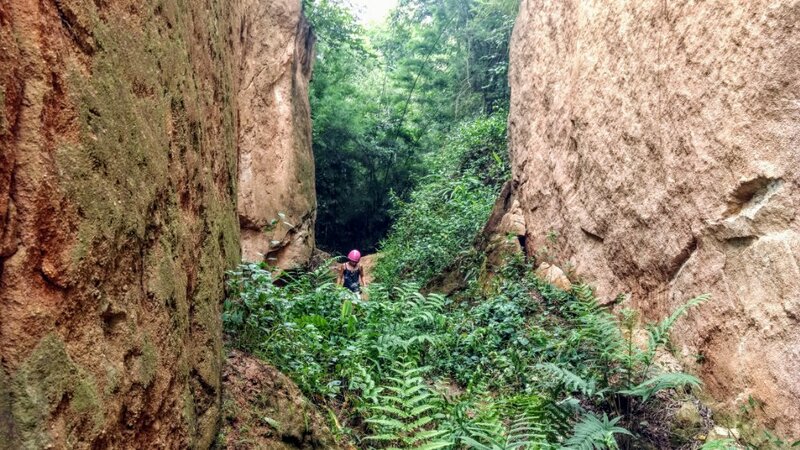 Some of the walks are narrow with long drops…thank goodness we didn’t have to use those spare undies on the drive to Pai. This alone makes Pai a worthy stop. Firstly, let’s be clear. 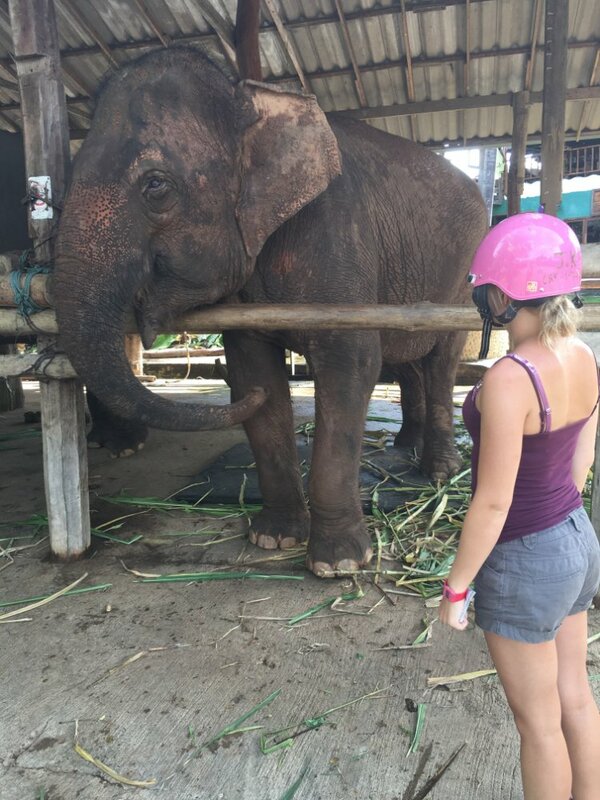 We don’t condone elephant riding due to the mistreatment of elephants. We also have mixed feelings about these so called sanctuaries/villages that are now heavily promoted in Thailand where instead of riding you can now bathe the elephants. I’m not sure elephants want to be bathed by humans. Anyway, in Pai there is a road with a few sanctuaries on and we heard there might be elephants out the front which we could see. We did find a few elephants and, whilst it is great to see an elephant up close, it didn’t feel great to see them looking so sad. Much better to see them in the wild as we did in Borneo (you can read about that here). Whilst these Elephant “Sanctuaries” seem to be an improvement on the riding camps it feels like there is still some work to do to find the right solution which will be good for the elephants and the people/villages whoms livelihood currently depends on them. We were really pleased we didn’t listen to all those people who berated Pai. 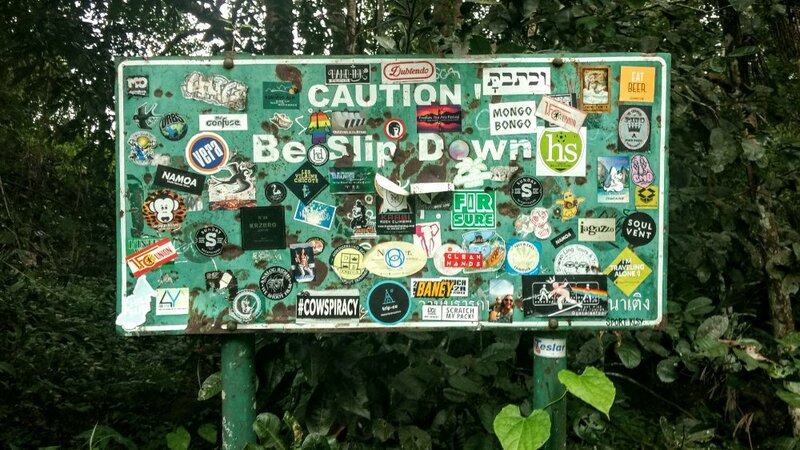 Yes there are a few traveler hippie wannabes, but they are a lovely bunch and it makes for a laid-back vibe that even the local Thais have fallen for (and who can be seen sporting their own dreadlocks). 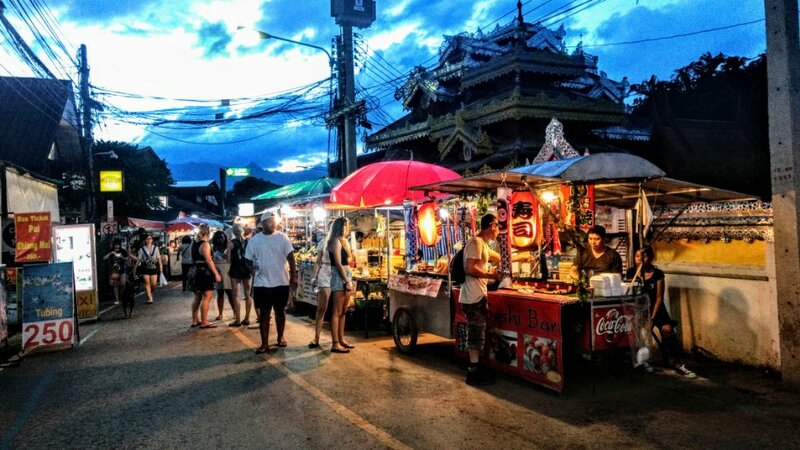 The night market is superb and Pai surroundings are full of great places to visit. 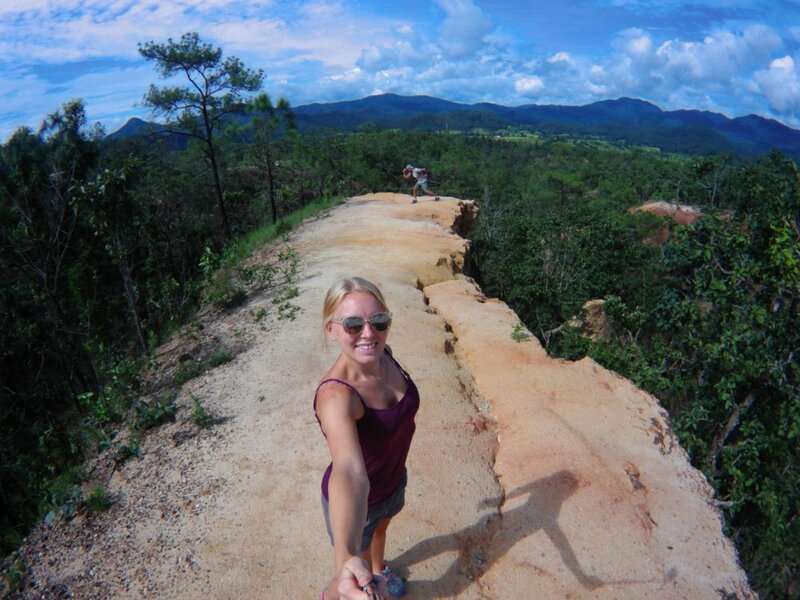 We’d say that this is a must on any visit to Thailand. Travellers Tips/RecommendationsStay: We stayed in Hommy Camping Room. You get a tent, camping mat and sleeping bags. It’s very close to the town and night market. 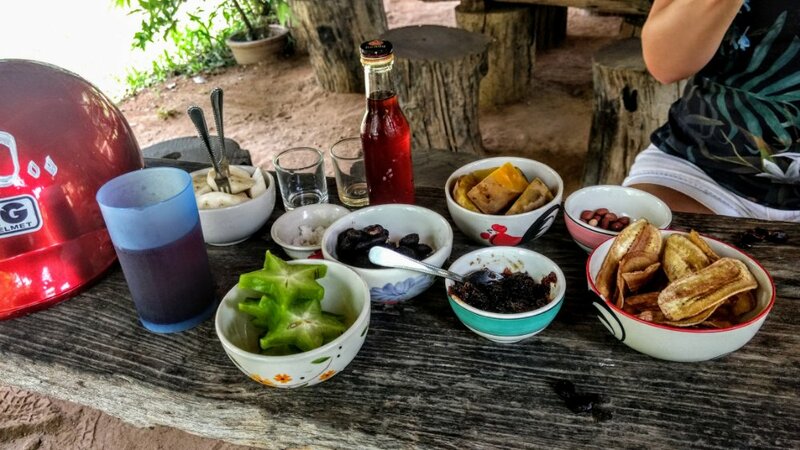 It was crazy cheap too (200 Baht a night for a 2 person tent) and included a toast and jam breakfast. Eat: You have to visit the night market. It’s brilliant for food. If you fancy a restaurant there are loads of cheap eats on the main streets. 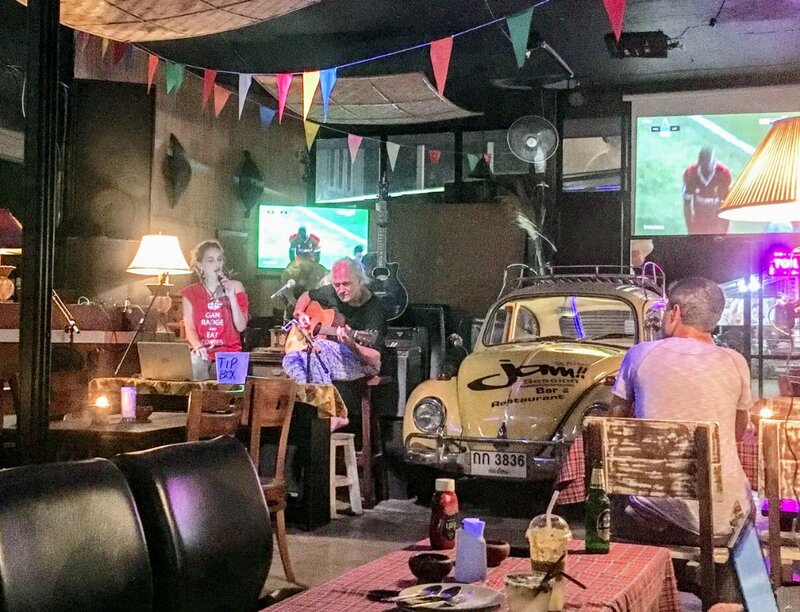 Drink: There are loads of bars around Pai. Just go and see where has a good vibe that particular night. A lot have surprisingly good live music that gets everyone singing. Do: just read the blog above…there’s loads to do. In 2 or 3 days you can see most things and then spend longer just for the vibe of the place. 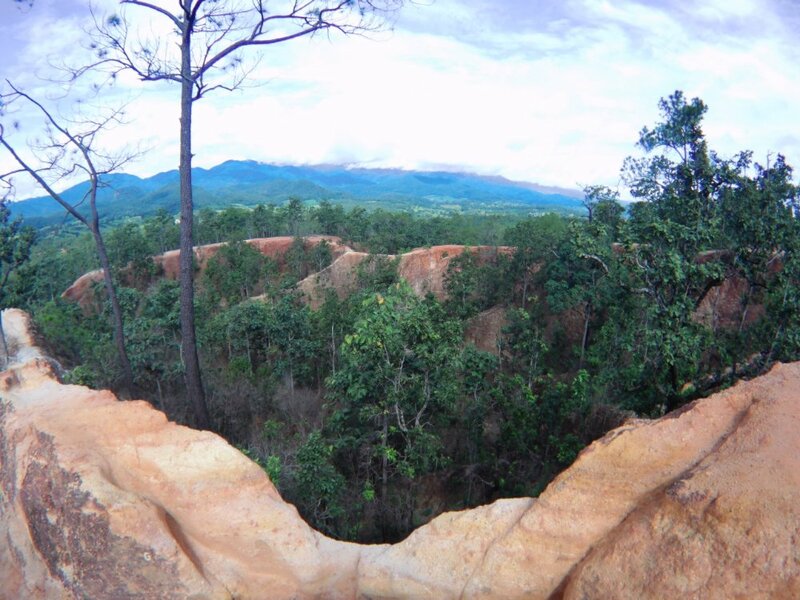 Pai is awesome right? We really loved it, glad to hear you had such an experience. Really awesome! Such a cool place to spend a few days exploring in the day and eating and drinking at night. Great place, even when I was there more than 25 years ago! Happy travels! Glad you enjoyed it too. I’m sure it was very different then! Glad you enjoyed it, although we are sure you’ll enjoy the real thing more! Hope you guys are having fun there!